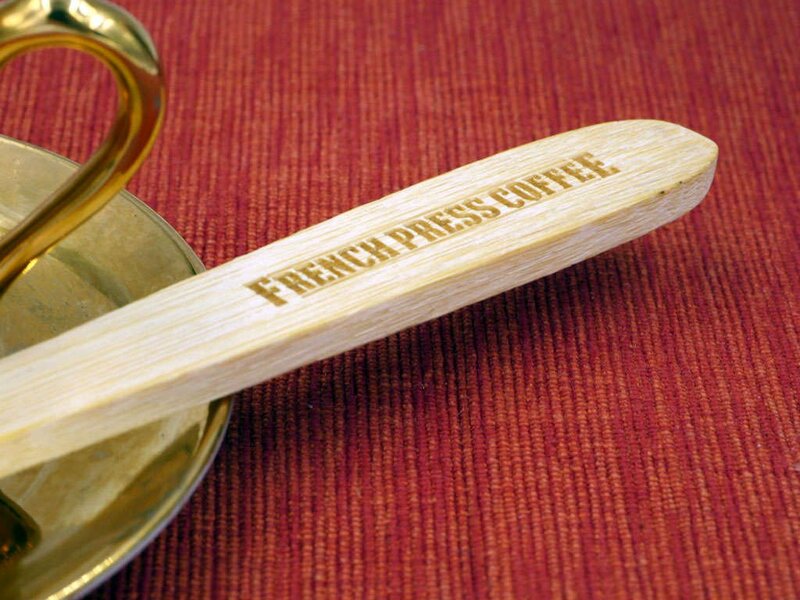 Handcrafted Bamboo Coffee Stir Paddle for French Press, Syphon, Cold Brew, Chemex. Coffee and tea experts prefer bamboo over metal spoons and stirrers because it doesn't absorb or remove any heat from a hot beverage. You can enjoy a warmer, tastier beverage every single time. As the stirrer measures nine inches it's also the perfect length to use for mixing coffee grounds in a French press, Syphon, cold brew, or other device. BOGO and they are FANTASTIC! Very economical, renewable resource, looks nice for daily use (get the other one for company when making press pots or aerobie when you need to stir as part of the process), and is VERY functional and easy to keep clean if you just rinse it after every use and then wipe dry. I marked one of mine for coffee and one for tea so I don't mix them up. Get them while on sale at buy one get one FREE before everybody catches on. ENJOY! The Bamboo Stirrer for Coffee Grounds is soft enough to not scratch or crack your French Press, Hario Syphon, Chemex, Glass Carafe, Pour Over, Glass Coffee Maker, Copper Coffee Maker, Polished Stainless Steel Coffee Maker, Cold Brew Coffee Maker, and others. Bamboo is a natural, eco-friendly material that makes an excellent stirrer for coffee, tea, and other drinks. This bamboo stirrer mixes hot beverages without taking away or absorbing any heat like metal spoons or stirrers do and doesn't have the negative health impact that plastic with BPA does. Offered in a nine-inch size, this is the perfect way for coffee and tea enthusiasts to indulge in their favorite brews.